Funeral Services for Loretta E. Hundt, 94, Lincoln, formerly of Norfolk, will be 11:00 a.m., Saturday, April 13th at Home for Funerals Chapel, 708 Georgia Avenue. Reverend John Kunze will officiate. Burial will be Hillcrest Memorial Park Cemetery. Visitation will begin 9:00 a.m. Saturday at the chapel. 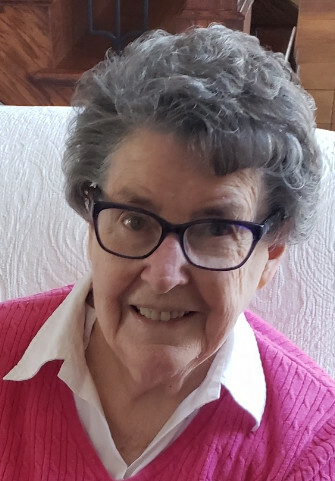 Mrs. Hundt passed away Tuesday, April 9, 2019 at St. Elizabeth Hospital in Lincoln, Nebraska. Loretta was born May 12, 1924 in Leigh, Nebraska to her parents Walter and Emilie (Hellbusch) Koch. She grew up on the family farm between Leigh and Madison. On February 11, 1951, Loretta married George A. Hundt, Jr. at Grace Lutheran Church in Norfolk. She worked at Dale Electronics for over 20 years until retirement. Loretta and George moved to Lincoln in 1996. They were members of Messiah Lutheran Church in Lincoln. Loretta and George loved to travel, taking many tours with Allied Tour and Travel. She enjoyed quilting and doing crossword puzzles. Most of all, she loved her family and especially watching her grandchildren and great grandchildren grow. Loretta is survived by her children Craig (Vicky) Hundt, Sr. of Lincoln and Debra (Richard) Degaillez of Norfolk, five grandchildren Christopher (Abby) Hunt, Craig Hundt, Jr., Michael (Jen) Hundt, Katie (Eric) Fawl, and Jon Hundt, nine great grandchildren, and sisters Gloria Krueger and Arlene Miller. She was preceded in death by her husband, and brothers Clifford and Vern Koch. Memorials are asked to be given to the Messiah Lutheran Foundation Scholarship Fund, 1800 S. 84th St., Lincoln, NE 68506.